A Mexican national accused of shooting an off-duty Border Patrol agent during a robbery in Texas was charged with additional crimes related to more robberies Thursday, the Monitor reports. 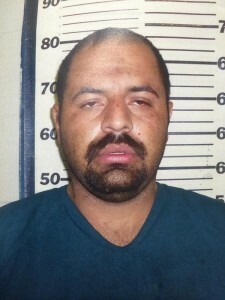 Gustavo Tijerina, 30, was charged with seven counts of aggravated armed robbery and three counts of engaging in organized criminal activity in connection with four armed robberies in Cameron County. Cars were stolen in those cases. Tijerina already has been charged with capital murder in the shooting death of Border Patrol Agent Javier Vega Jr., 36, of Kingsville. Tijerina likely won’t be going anywhere after his bail was set at $2 million. Posted: 8/30/14 at 3:26 PM under News Story.